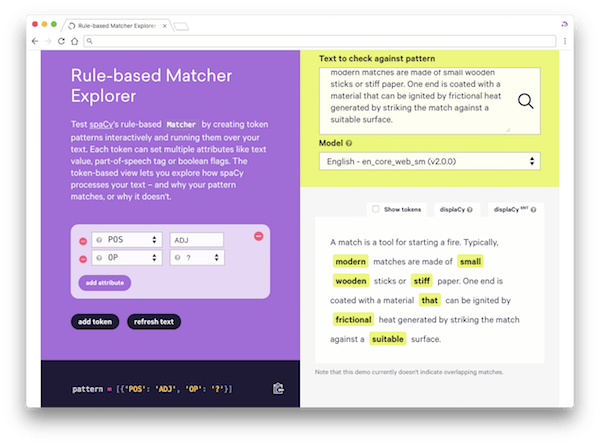 Demos and visualizations aren't just eye candy – they're an essential part of explaining and exploring AI technologies, especially during development. A good visualisation lets you understand your model's behaviour and catch obvious problems early. 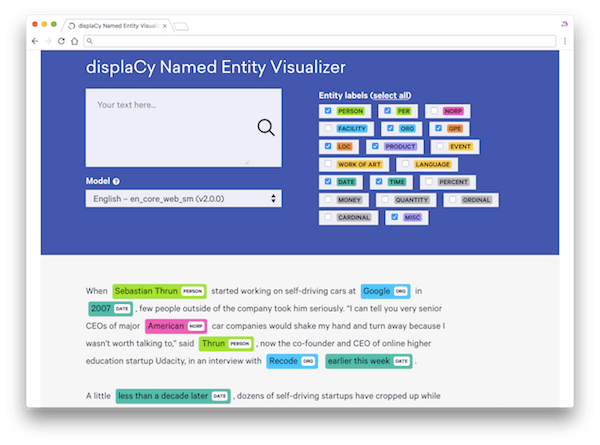 Our demos include visualisations for spaCy's depency trees, entity recognition and similarity models, along with a word-sense explorer trained on Reddit comments. 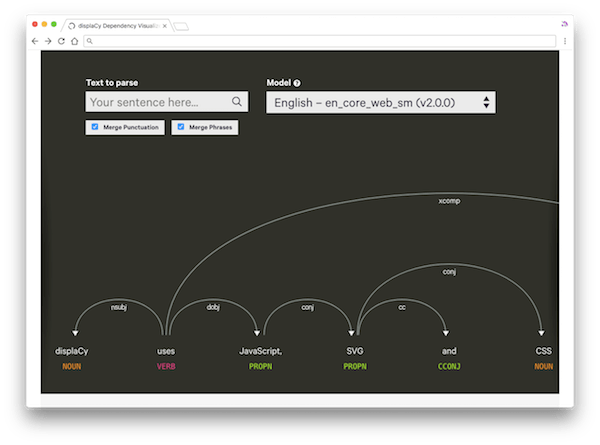 Visualise spaCy's guess at the syntactic structure of a sentence. Arrows point from children to heads, and are labelled by their relation type. 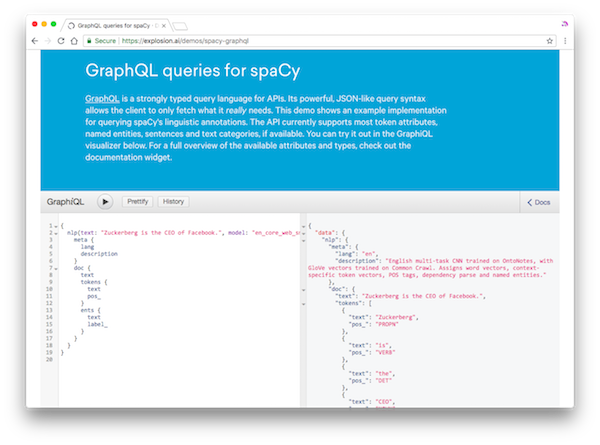 Visualise spaCy's guess at the named entities in the document. You can filter the displayed types, to only show the annotations you're interested in. 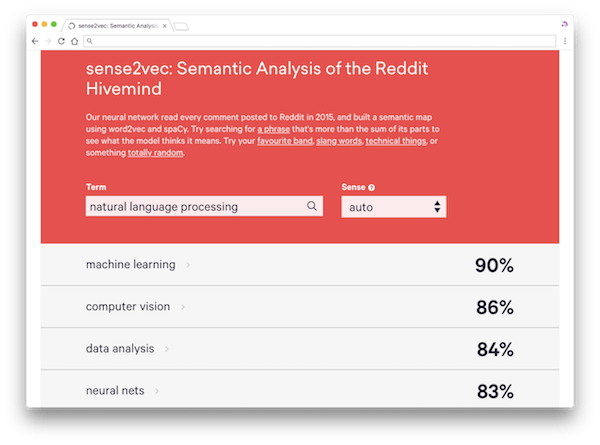 Our neural network read every comment posted to Reddit in 2015, and built a semantic map using word2vec and spaCy. Whether you're working on entity recognition, intent detection or image classification, Prodigy can help you train and evaluate your models faster.